Researchers investigating the number of visits children make to the doctors suffering with asthma have revealed Imperial County, California, tops the list. And people who suffer with the respiratory disease thinking of heading to the region on their travels may want to consider taking out proper pre-existing medical travel insurance as the desert conditions could aggravate their condition. 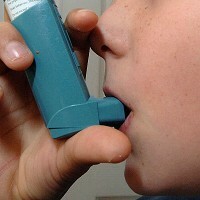 According to the data, one in five children in Imperial County has been diagnosed with asthma. And the Department of Public Health in California said the rate at which children visit the doctor to get treatment is three times higher than in the rest of the state. Speaking to the Los Angeles Times, eight-year-old Marco Cisneros said he has been to see the doctor 50 times already regarding his asthma. Health experts believe a number of factors may contribute to the problem, including the dry desert climate, along with the dust that is laden with pesticides. Poor air quality as a result of pollution in neighbouring Mexico may also be affecting the number of people suffering with asthma.